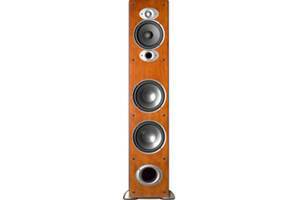 Articles & Videos: Home / Home Audio / Home Speakers / Floor-standing Speakers / Why bi-amp your speakers? 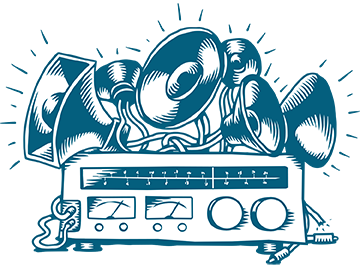 Author's note: This article covers bi-amping with a home theater receiver, also known as "passive bi-amping." It's written for folks who have bi-amp capable speakers, and a 7-channel home theater receiver with unassigned channels of power. There's another approach called "active bi-amping" that employs outboard crossovers, power amplifiers, and expert-level tweaking to achieve even better sound. One reason I don’t go into detail about active bi-amping in this article is that we don’t offer the gear you’d need to do it. A bi-amp capable receiver uses two different pairs of amp channels for a single speaker. Here we show the connection points for the front right speaker in a home theater system. I like getting the most out of my A/V gear. If there are features available that will improve my listening experience, I want to use them. A few years ago I upgraded my 5.1-channel home theater receiver to a 7.1-channel model. This gave me a chance to engage one of its lesser-known features — bi-amping. I designated the two rear amp channels that weren’t being used with my five-speaker system to bi-amplify my front left and right floor-standing speakers. In other words, instead of just one channel of power going to each speaker, I now had two channels of power driving each speaker. The increase in the performance of my speakers was audible. Why did bi-amping make a difference? Let's talk about the nuts and bolts of how it works first. Then we'll dive into what you need to bi-amp your speakers. Bi-amping is a speaker connection method that uses two channels of amplification to power a single speaker. 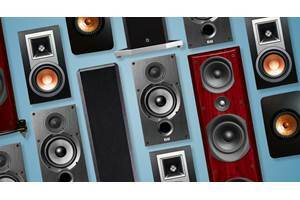 It's commonly used with the front left and right speakers of a home theater system. Instead of a speaker's woofer and tweeter sections sharing one channel of power, they each get dedicated channels of amplification. 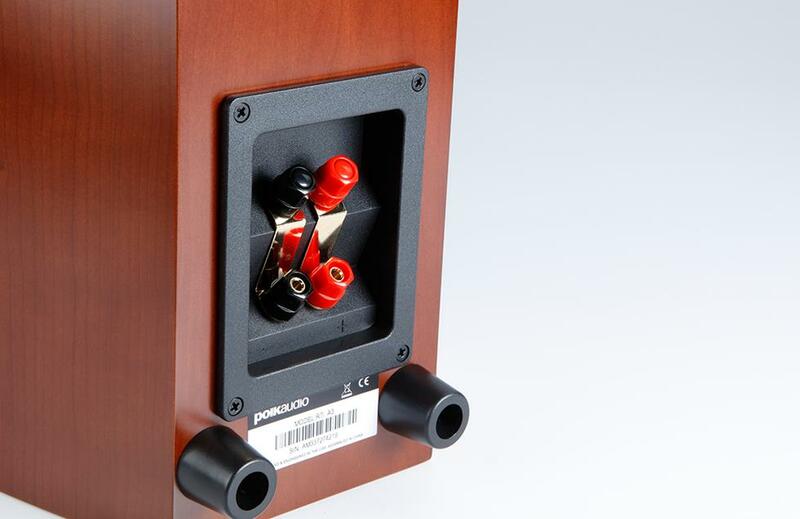 This feature is found on select tower speakers and premium bookshelf speakers. A bi-amp capable speaker has two sets of input terminals for connecting to two separate receiver channels. Many of us have a 7.1-channel home theater receiver, but only use it to power a five-speaker surround sound system. Bi-amp capable receivers let you redistribute the power from the sixth and seventh channel outputs for other applications. You might use this extra pair of assignable channels to power rear surround speakers, speakers in a second zone, or in this case, to bi-amp your front left and right speakers. Connecting these channels to a pair of bi-amp capable speakers increases the amount of usable power that each speaker gets. How does bi-amping make a difference? Bi-amping provides more usable current to the speaker. Instead of a single channel’s worth of power divvied up between the woofer and tweeter sections, each speaker section gets a full channel’s worth of juice. Increasing the total amplifier power to each speaker provides more headroom and greater control, which can yield better sound. There's a lot of debate in the audio world about the effectiveness of bi-amping — the comments at the bottom of the article are a testament to that! Some folks say they can hear a difference. Others say it's no substitute for getting a bigger, more powerful amplifier. Since bi-amping is a feature found in many home theater receivers and speakers, I recommend trying it for yourself to see whether or not it makes a difference in your system. A 7.1 (or greater) home theater receiver with an unused pair of assignable amp channels. A pair of floor-standing speakers or bookshelf speakers that each have two sets of input terminals. Four sets of speaker cables (two sets for each speaker). The first step to bi-amping your front speakers is removing the brass jumpers that link the top and bottom speaker terminals together. Removing the jumpers lets you connect separate receiver channels to each set of terminals. To bi-amp your speakers, you need to enable this feature in your receiver. This setting is usually located in the speaker setup section of your receiver's menu. Designate the unused assignable channels to bi-amp your front speakers. On this Denon receiver, the surround back outputs are assignable as bi-amp channels. Each one pairs with a front channel to increase power to your speakers. Once your receiver is set up to bi-amp, it's time to connect your speakers. 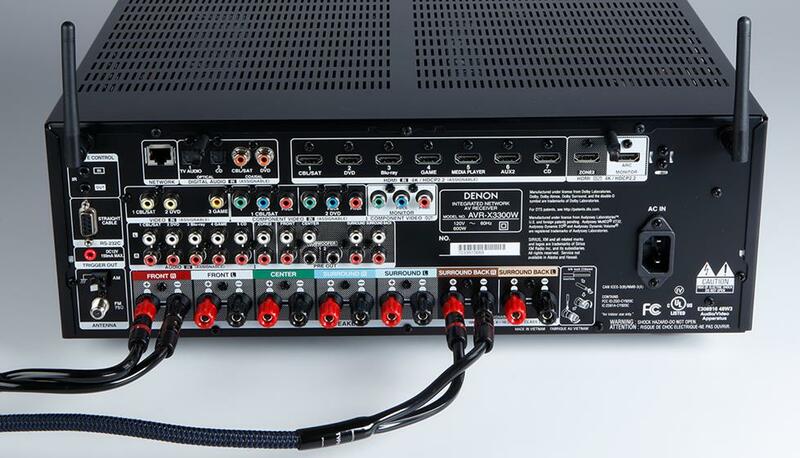 One set of speaker cables connects to the front left and right outputs on your receiver. The second set connects to the assigned bi-amp channels. 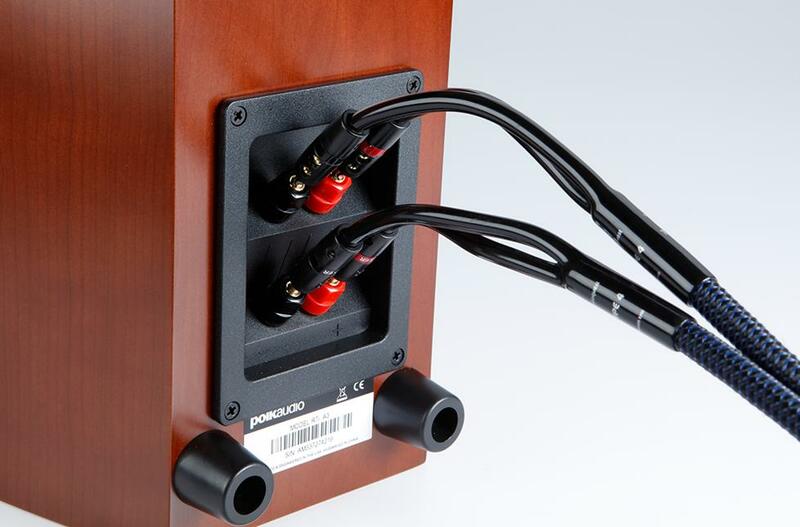 Since each speaker cable is carrying a full-range signal it generally doesn't matter which channels plug into the top or bottom sets of speaker input terminals. But refer to your owner's manuals to see if there's a preferred connection point. There are a few different types of speaker cables that you can use to connect your bi-amped speakers. A popular choice is buying bulk wire, cutting it into four equal lengths for each speaker, and adding banana connectors on each end. This gives you a simple, secure way to connect your gear together. Pre-terminated speaker cables are also a good option for bi-amping. The bi-amping method we describe in this article is sometimes called “passive bi-amping." That means the speaker’s internal crossovers are solely used to direct the traffic of the incoming signal. Passive bi-amping doesn’t make any changes to the signal the speaker is receiving — it only increases the amount of available current being sent to each portion of the speaker. This is different from "active bi-amping," which employs multiple amplifiers and external crossovers to achieve better sound. Active bi-amping can offer greater improvements in performance, but requires specialized gear and set up knowledge to pull off. How is bi-wiring different from bi-amping? Bi-amping uses two channels of amplification to power a speaker that has two sets of input terminals. Bi-wiring uses just one channel of amplification to power the same type of speaker. Bi-wiring is useful when you have a single stereo amplifier or receiver as your power source. A bi-wire cable has one pair of connections on the amplifier end, but two pairs of connections on the speaker end. This lets it take a full-range signal from the amp and send it down separate paths, which can improve treble and bass performance. Bi-wiring also removes the connective brass jumpers from the signal path, which are typically less conductive than bi-wire cables. I have the Denon avr-s930, and was told that I can remove the bridges on my Klipsch rp-280f, and run it from the left and right front outputs, the left and right surround sound outlets. Is this possible? Power in amplifiers is a measure of current and voltage, with current driving the speakers and voltage controlling the drivers (in/out). Current is what matters, and with multi-channel receivers using a single transformer for all channels offer a potential though small difference when bi-amping. (I posted a review of the NAD-316BEE integrated purchased from Crutchfield. It replaced a pre-amp and amp that were 20 years old. The old amp was rated at 100 watts per channel, the NAD less than half that. Driving the same speakers, the NAD gave richer and tighter bass, a larger sound stage, and better separation within the sound stage. Despite the watt ratings, the NAD obviously had much more than half the power, with a much faster slew rate. One receiver mentioned in the comments above that does work for bi-amping weighs in at 22 pounds. Of that, likely 14-16 pounds is the transformer. Total power from such a device won't likely have much affect if bi-amped because all channels pull from the same transformer. If the circuit topology has sizable capacitors between transformer and output, that would help with sudden changes in the impedance curve of the speakers/momentary increase in volume. In my main audio system my Plinius SA-102 amp is rated at 125 watts per channel. It weighs 97 pounds and has two transformers -- one for each channel. The difference is power. Any tweak to max system performance is good, but knowing a bit more helps set expectations. 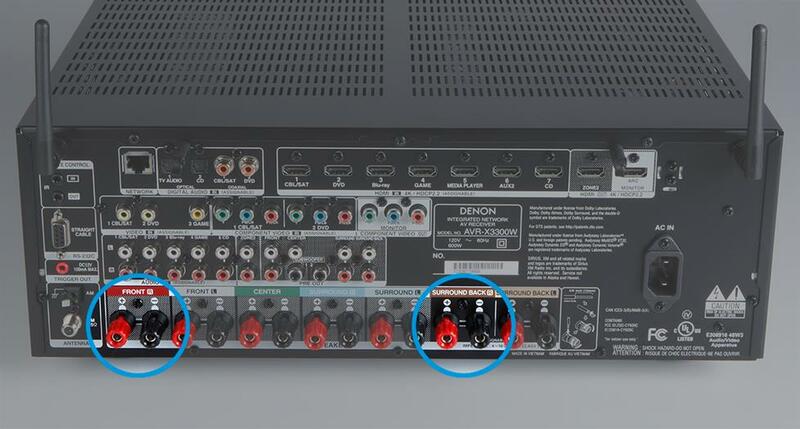 hi I have denon AVR-X520BT and was originally using all 5 denon small speakers that came with the home theatre I have recently just got some floor standing speakers can which I have replaced the front left and right with floor standing speakers can I bi-amp but still use all channels surrounds center and double wire the floor standing speakers to amplifier ? Thanks for your question, Sovantha. Your AVR-X520BT doesn't have bi-amping capabilities, so you'll want to stick with the original wiring configuration. I have a Denon AVR s 930 h. Recently purchased definitive Technology 9060 from Crutchfield. While it looks like I have connections available I do not see bi-amping mentioned in either manual. The speakers are awesome, but I don't want to leave anything undone. Can I do this with this set up? Hi Jim, according to Denon's site the AVR-S930H doesn't support bi-amping, sorry! Really fine article. Now I get out of my Denon x3300w and my B&W 603. The sound has highly improved. Thank you. Hi Brandon, your receiver doesn't have bi-amping capability. With it, those extra two channels can't be reassigned for your front speakers. Sorry I don't have better news for you there! Hi Kyle, it looks like the VSX-1021 is actually a 7-channel receiver and is bi-ampable. Page 14 of your owner's manual walks you through the steps. I was in a pickle with my new Marantz SR7012. I was all excited because I finally had a receiver that would allow me to Byabi-amp! The problem was it would cost me two channels in my home theater set up . I could Either bi-amp FL and FR PSB tower speaker and run a 7.1 setup, OR just Bi-wire the PSBs so I could set up a true 9.1 Sony Atmos system. The 7012 is one power amo short of allowing 9.1 with bi-amped front speakers. I had to try with the bi- amping Since I've waited all my life to be able to do that. Imagine my complete surprise when bi-amping my front speakers actually didn't sound as good with music as Just bi wiring!!!! When bi amped i could hear the difference in the top half and bottom half of towers, But, for some reason, overall the pSB towers just sound better bi wired. Definitely warmer and more unified. Bi-amped they sounded to0- almost sterile. I'm thrilled because now I truly have 9.1 system and it sounds incredible!!!! My Denon AVR-S910W is 7.2, but there is no mention of bi-amp in the manual. Am I correct in assuming that your method of bi-amp connection is not possible here? Thanks. Hi John, you're correct — the S910W doesn't have bi-amping capability. I have an older integrated amp. Is there any advantage to running the secondary speaker outputs to, for example, the tweeter inputs of bi-amp capable speakers? Or would The there be less overall power going to each speaker this way? Is any integrated amplifier/receiver with two sets of speaker outputs capable of bi-amping? How can one tell if there is separate amplification for each set of speaker outputs or if they are both drawing from the same source of power? And if it's the latter scenario, does that render bi-amping useless? Kramer Crane from Crutchfield on 12/4/2018 Hi Jeff, integrated amplifiers aren't designed for the type of bi-amping that this article covers. There is another approach called "active" bi-amping that you may want to explore, but the parameters are totally different than bi-amping with a home theater receiver. Feel free to give us a call if you'd like to discuss more in-depth. Just bi amped my jamo classic 8 with onkyo 609 the sound has highly improved There is a huge differents. I have B&W DM603 S3s as my left and right main speakers, and I power them with a Pioneer Elite VSX-TXS82, and have been bi-amping my speakers as described in this article for almost a decade. Nothing negative to report, but lots of good things to say about how my system sounds. Plenty of power for my 603s' woofers with less strain on my receiver's amps. I cross over to my subwoofer at 50 Hz, and so I don't feel like my system ever sounds strained, no matter how loud I play it or what my source is. Just bi-amped B&w 683s. Huge improvement ! Denon 3803 is the receiver. Front channels routed to low frequency speaker inputs, zone 2 outputs go to the high frequency inputs. The mode is set to 7 channel stereo. Speakers sound twice as good. Increased clarity is unbelievable. I thought I understood your article until I started reading the comments, and other people's questions. So could you please provide some clarification (sorry if you feel like you're being repetitive). I've read over-and-over again by the countless number of internet comments that increasing the wattage by such little amount doesn't make much of a difference. That's not what I'm interested in. I have: SC-65 Pioneer Elite 720W 9.2 (2) Polk Audio RTia 9's The speakers are rated 50 - 500 watts @ 8ohms The receiver is rated: 130 W @ 8 ohms 170 W @ 6 ohms 210 W @ 4 ohms The receiver is bi-amp capable. I am not hooking up any other speakers. How do I get the most out of my receiver? How do I get the most wattage to my speakers? Is there a way to wire my speakers to a 4 ohm load? I hope you can understand where I am coming from, what I'm trying to get at. Please don't tell me that adding more wattage to these gigantic speakers won't make much of a difference. Kramer Crane from Crutchfield on 10/15/2018 Hi Patrick, providing more useable current to your speakers is what bi-amping with a home theater receiver is all about. I expect you'll hear an audible difference in how your power-hungry Polk towers sound. You'll want to follow Pioneer's instructions on page 22 of your receiver's manual to get everything set up. Your speakers' nominal impedance will remain at 8 ohms since you're using separate channels of amplification for each section of each speaker. Give us a shout if you have any questions, and happy listening! I have a question to Kramer Crane from Crutchfield, I have the new NAD T777 V3 and wish to bi amp it with a pair of JBL ES 100 , but i cant find the correct menu on my reciver , can you send me a schme set up for how to do this , please? Kramer Crane from Crutchfield on 10/7/2018 Hi Inge, page 20 of your receiver's manual walks you through the bi-amp setup. I have an old Denon 5.1/7.1 receiver. I run a Rotel power amp. So I don't use any of the outputs from the receiver. Can I biamp with this setup? 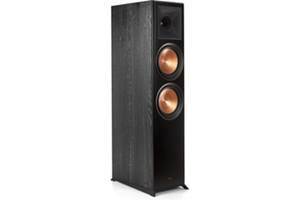 I am running Klipsch rf series speakers. Kramer Crane from Crutchfield on 10/1/2018 Hi Jay, which specific model Denon receiver do you have? I can check to see if it has assignable bi-amp channels. Thanks! I always have biamped since the 70's by using an electronic crossover and 2 power amps even in my home while internal passive crossovers leave a lot to be desired in sound when you're in the studio business for 35 years. This may be an obvious question but I'm asking it as I have some spare cables of a given length. How important is the length of cables i.e. currently I have Single 2M QED XT40 cables going from my AVR to my floor standers. I have 2 spare cables and spare amp channels but they are 2.5M, is that likely to cause problems? Kramer Crane from Crutchfield on 8/8/2018 Generally speaking short differences in cable length will not make any difference in how your speakers sound. There's a deeper impedance and electrical resistance discussion that can be had. But a half-meter difference is not likely to matter at all (so go for it!). Against the advice of an audio group, but ok'd by the manufacturer of my receiver I have a set of rf7III's bi-amped. I have the low frequencies being handled by an external amplifier, and the high frequencies being handled by my receiver. The only I can say for certain is that there is plenty of headroom with those speakers at this point. I can turn them up as loud as I can handle and they want more. They actually get louder with every increment I turn up the receiver. You're using two different types of signal to each driver. For example the bass frequencies used for the mains would be at a different level for the rear signal. What you need is a stereo amp with A+B capability. Otherwise your robbing the mains and biamping for no reason. Kramer Crane from Crutchfield on 7/26/2018 Respectfully, that's not quite what's happening here. Passive bi-amping sends an identical signal to both sets of inputs on each of the front speakers. When "bi-amp mode" is selected in the home theater receiver's menu, the assigned bi-amp channels become a mirror output of the front left and right amp channels (so the signals are the same). 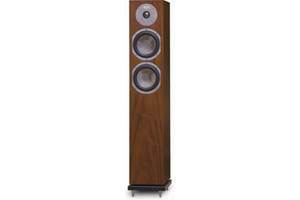 Each speaker's crossover does the same job that it always does, but with more useable current. Done it and guarantee you only hear a difference if you believe in Santa. Good article, very clearly written and explained. I'm using the bi-amp feature of my Denon receiver differently. Due to aesthetics, I can't use floorstsnding or even large bookshelf speakers in our main room (not the theatre room). I have Definitive technology ProCenter 2000 center channel and DefTech ProMonitor 1000 Left and right speakers lined up below the 75" Samsung, with the 1000's just outside the left and right edges of the tv. Straight above the ProMonitor 1000's are a pair of DefTech ProMonitor 800's, lined up with the top of the tv. The 1000's are connected to the main Left/Right receiver speaker outputs, the 800's to the bi-amp outputs. The sound is very good, all encompassing and room-filling. I have ceiling-mounted speakers for Atmos, and tried the 800's as front height speakers, but felt they weren't being used enough, and that essentially tying the 1000's and 800's together to provide a sound field the heght of the tv sounds much better. Was reading in disbelief because I expected a more interesting diy project. Bi amp means a separate amplifier chamber with custom EQ and filters for each transducer. What you're doing is called bi-wire (a myth). I don't know who let you write this article, but I hope readers move on and double check what they learned here... this is total nonsense. Kramer Crane from Crutchfield on 6/18/2018 Thanks for your feedback, John! 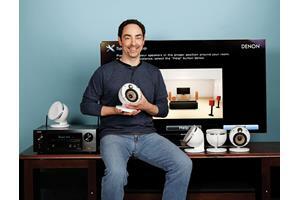 This article covers passive bi-amping, a popular feature found in many home theater receivers. It sounds like you're looking to employ active bi-amping in your system. This article isn't geared towards that method, but there are plenty of tutorials and resources online elsewhere that should help. Happy listening! Presently I am planning to go for a new home theater for my new house. planned to gofor 11.2 Marantz SR8012 , Klipsch 280F series,with Atmos speakers, 4K preferably Laser projector, Emotiva power amp. XPA 3cha. 3 gen. I am working on this on , understanding myself most of the things in detail, as to know how to fix them, for what, how the sound and vision can be at its best, with different settings , the different adjustmenets. Now this atricle has helped to know and to work on this biamping to impeove the good sound quality. I don't know what's going on technically, but I have a Denon 3300 something or another with klipsh rp280, and when I first hooked them up, not bi-amped I have to say I was on the side of slightly disappointed and then went back and bi-amped them according to their documentation and it was a significant improvement. Moved from slight disappointment to tears of joy. Bottom line instead of wondering which one of these commentators is correct, just go ahead and test it out for yourself. The advantages to passive bi-amplification may not be as significant as acquiring a higher power amplifier, but, if you have unused back channel amplifers in your 7.1 channel AVR, your AVR can reassign channels, and you have bi-ampable speakers, it can't hurt, and it doesn't cost more than extra speaker wire. Speakers have input power limits, so there is a limit to how much more power will improve the sound. Doubling the power is only a 3dB increase, barely audible. The only characteristic that speaker wire has is impedance. At audio frequencies, the impedance of expensive speaker wire is insignificantly different than inexpensive speaker wire of sufficient guage. Compare three identical amplifiers, one driving a speaker full spectrum, the other two driving low frequency and high frequency speaker sections separately as passive bi-amplification. Assume identical speakers. All three amplifiers produce the same output voltage with the same input signal voltage full spectrum. Since the impedance load on each amplifier is different, the current and power output of each amplifier will be different. The current and power output by the amplifiers wired for bi-amplification will be lower than the output of the amplifier driving the speaker full spectrum. The voltage at which an amplifier clips decreases as amplifer output current increases as speaker impedance decreases. Amplifiers that can develop rated power and distortion into an 8 ohm resistor can't cleanly output twice the power into a 4 ohm resistor. Passive bi-amplification theoretically increases available amplifier power, but not as much as double. A doubling of amplifier power is only a 3dB increase, barely audible. It is not inconceivable that the low frequency section of the speaker would draw enough current that it would cause the low frequency amplifier to clip at the same time that the high frequency amplifier would not clip. The higher harmonics of clipping distortion might not be reproduced audibly by the low frequency speaker element. Power amplifiers are voltage controlled voltage sources. Output current and power is determined by the load impedance. With passive bi-amplification, the impedance of the speaker passive crossover network divides what would be the total current from a single amplifier between two amplifiers. Two amplifiers don't have to supply as much current or power individually as a single amplifier, but they have to supply the same voltage, so the total power to the speaker is the same as a single amplifier. Since the amplifiers have to provide the same voltage as a single amplifier and since the voltage limit is the same but the current provided by each amplifier is lower because of the load impedance, passive bi-amplification amplifiers will not drive their full available rated power into the speaker. Active bi-amplification uses an active crossover before the amplifiers and removes the imprecise parasitic passive crossover impedance between the amplifiers and the speakers. Active bi-amplification improves the sound quality much more than passive bi-amplification. The total power available in active bi-amplification is the sum of the amplifiers, but music doesn't require as much power at high frequencies, and high frequency speaker drivers can't handle as much power as low frequency speaker drivers. Too much available amplifier power for high frequencies is wasted and too much power applied to the high frequency speaker drivers blows the driver. I have bi-ampable speakers and an effective bi-amp arrangement as follows: I use separate components for my pre-amp and amps. Between the pre-amp and the amps is a device to split the signal where one path is the original signal, and the other path is attenuated relative to the original signal. Think volume control here - at "full volume" the split signal is equal to the original signal. The original signal goes to the amp connected to the speakers upper frequencies - and into the speakers top cross-over connections. The attenuated signal goes to a more powerful amp powering the bass frequencies through the speakers bottom cross-over connections. I can then fine-tune the bass response using the volume controls on the splitter device. I suppose you can think of this as a glorified bass cut/boost. But I find this arrangement far more musically satisfying than the typical built-in equalizer in most integrated amps. The speaker maker spent a far amount of time getting those upper and lower cross-overs just right, and using an equalizer to control the bass is not ideal. Use the cross-overs in the speakers. Bi-amping is a good thing, but it takes a bit more time and effort than the article implies. Hi Rick. If you were doing "active" bi-amping, where an external crossover was being used ahead of the speaker, it would matter which set of inputs you used. But as far as I can see both pairs of output channels on your X3200W send the same full-range signal out to your speakers. So with your setup you can connect either the front or bi-amped (surround back) channels to either the top or bottom set of input terminals on your Polk speakers. Since it's the same signal, either configuration is fine. I have a Denon AVR 7.1 and would like to bi-amp my fronts. Neither manual says which speaker input/output I need to use for best setup. My fronts are Polk RTi70s and the receivers a AVR-X3200W. I'd like to know if possible, do I run the front speaker outputs from the receiver to the bottom terminals or top terminals of the front speakers? Thanks in advance. Hi Girish, that's an excellent question, and with so many factors at play (how much power your receiver offers, the size and efficiency of your main speakers, and so on), there's no one-size-fits-all answer. If you plan on running the wiring for the Zone 2 speakers back to your receiver area anyway, it's worth connecting the receiver to those speakers and reassigning the channels temporarily to see how things sound. You might find that your main speakers still sound fine, or you may find that you miss the extra power. In that scenario, it's easy enough to bi-amp your main speakers again since the wiring is all in the same area. If you buy a new amp for Zone 2 and it's not going to be in the same area as your receiver, that presents a different set of considerations, and the right answer is a little murkier. Feel free to give one of our Advisors a shout and they can talk to you about the specifics of your system. I have 7.1 receiver with Bi-Amp capability and am using these with tower speakers with bi-amp capability. I then also have another set of ceiling speakers in another room which I was hoping to use as Zone 2 but as you all may know, one can't have the cake and eat it too - i.e. one cannot use bi-amp for the main tower speakers as well use Zone 2 for ceiling speakers to work. It is either or. So in your or anyone's opinion, is the bi-amp feature still worth or justified at the expense of not being able to use Zone 2 and the expense of getting another receiver/amp altogether just for ceiling speakers in the other room? I recently biamped my Rega RS-5s using my Marantz SR6010. I don't have a meter but I had to reduce the mains by 5-6dB in the channel level adjust to blend back in with my center surrounds--there was a very big difference in volume. It was a subjective test and I'm not claiming any special benefits or saying which is better, but I personally preferred the biamped sound a lot. Rega recommended biamping and the Marantz is set up for it too, so maybe I'm just lucky but I'd definitely try it again. Excited to add an external 5-ch amp some day for the fronts and see what that does. That said, I'm curious about the results, so if you decide to pursue this, please let me know how it sounds. I have a set of EV Sentry III speakers (bi amp capable) which have been paired with a Harmon Hardon PA2200 amp for years. I'm expanding to a 5.1 system with some Sony towers in the rear, a Boston Acoustics center and a Klipse KSW-200 sub. The AVR is a Sony 5.2. I was thinking of telling the setup tool that the speakers are small (they are 150lbs each!) and using the L+R sub pre-outs to feed the HK amp, routing the speaker wire outputs to the Klipse sub and using the Klipse crossovers for the "lower" center channel bass. Is this worth a try, or is it overkill? The Sony can output well over 100W and the HK is also 100W/CH (but VERY high current) and the EVs are Max 50W (but 127dB at 3ft at 50W). I'm not short on power, so will biamping in this way (almost active) yield any gains? I had heard of bi-amping. I wasn't using the 6th and 7th channels. And my oldy-but-goodie Polk tower speakers supported it. So why not? I hooked it up. But in my ignorance I didn't know about removing the copper jumper. A few days later I googled bi-amping, found this article, and was educated about the jumper removal. I think I'm exactly the target audience for this article! So thanks Kramer Crane from Crutchfield, big help to me and getting the most out of my good old Polks from Crutchfield. I had some spare time yesterday so I thought I'd drink the cool aid! I have a basic RS Silver 6's, LCR and yamaha subs.Receiver is Pioneer VSX 830. Most of the time listening is 2.2. Having the surround channels available I went to Passive Bi-amp. Had the extra cables anyway and the cable types/length/age are the same. With 30 years in live sound and a lifetime in audio I really didn't expect to hear a difference. Maybe its how the 2 amps per channel handle the different passive crossover's band pass impedance and speaker load impedance through out the band pass ( capacitance/inductance in the crossovers ) or maybe just more copper from the amps but it did remove some sheen or "edge" to the sound while the clarity remains. Doing some major re-listening to my favorites that I've listened to for years and although I don't want to admit it there has been a change in the sound for the better. I biamped my Rega RS5 using the Marantz SR6010 biamp mode. I got a 5dB boost and much better sound imo. Definitely improved the bass performance. Rega has great mids and highs so I didn't hear as much there but overall definitely worth it. The Marantz manual claims it feeds back unused power and blah blah I don't understand it tbh, and people are so divided on this issue it's confusing. But Rega recommended biamping and the difference is noticeably better. Gary, it all has to do with what channels your home theater receiver designates as bi-amp capable — typically the rear surround channels are the assignable ones. And sure, in a 5.1-channel system you can certainly move the surround speakers behind you if you like. 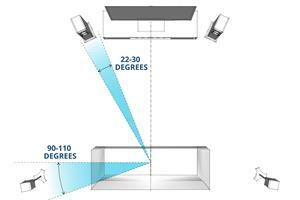 Speaker positioning always comes down to what sounds the best in your particular room. I recently Bi-amp my Definitive Technology BP2002TL and what a difference it has made for them. I used to run an Onkyo TX SR806 receiver, 7.1, 130 watts per channel, 8 ohms rated power, with front main channels for the towers. I recently upgraded to a TX RZ1100 that is 9.2, 140 watts per channel, 8 ohms rated power. Now that I am bi-amped, I can guarantee you that there is a difference. My Def Techs sing with such little effort. I have always been a believer in that you need clean power, and lots of it. After running my Def techs for almost 8 years on single channel power, I realized I should have bi-amped along time ago. My Def Techs are rated 20-400 watts, compatible with 4-8 ohm systems, says to set the amp to 4 ohms if there is a choice. My system built around the TX RZ1100 amp goes, Definitive Technology BP2002TL (bi-amped) front mains, Definitive Technology PF15TL+ Subwoofer, Infinity IL36C Center channel, Infinity IL40's for the rears. I used to think that bi-amping would not make much difference. With good power you will hear it. Technically my Definitive Technology BP2002TL are Tri-amped. I'm using an RCA cable to send L+R audio signals to the self powered 12" 250 watt subs in each of the towers. Peter, the Marantz SR5012 only natively supports bi-amping for the front left and right channels with its built-in amplification. If you're using its center channel preamp output to connect to an external amp, and your center channel has two sets of input terminals, that might be a possibility to explore, but the '5012 won't do it on its own. Hello. I'm already using the pre-outs for my main left an right channels with a separate amp, so I was thinking to bi-amp the center channel. That should be possible, right? I am using a Marantz SR5012. Carl, I don't think using the powered rear speaker outputs to bi-amp your front speakers will affect the RCA outputs for zone 2. You should be able to send a line-level signal to a zone 2 amp without an issue. Let me know if you run into any issues! Hi Kramer, I have an Onkyo TX SR707 and interested in trying out bi-amp on my front speakers. At this point I have my zone 2 line out to a Adcom GFA 535. If I run speaker wire from my surround back in the Onkyo to the second input on my front speakers and set to bi-amp in the settings will I lose my zone 2? Hey Luke, without knowing the specifics of your gear it's hard to answer your questions with any certainty. Feel free to give us a call for free one-on-one advice from one of our advisors. I have a Yamaha 5.1 receiver that allows bi-amping. Even though I only have the fronts and center channel connected to it, I am using it in 5.1 mode because my subwoofer and surround speakers are wireless with their own amplifiers/signal processing and I don't want my front speakers to play the surround channels. My question is, do I have amplifier channels (amplifying power) not being used because I'm running the receiver in surround mode and if so, could I connect another set of fronts in bi-amp mode that truly would raise my front speaker sound output using the idle amplifiers? Or does a receiver electronically know how many speakers are connected to it and just divide up it's power to them. Hope this makes sense. Kelly, my guess is that your receiver doesn't have a way of reassigning those rear channels, so bi-amping isn't likely to be an option. If you want to provide your receiver's make and model, I can let you know for sure. Hey Doug, the amp will behave just like it would going into any passive crossover network. When you bi-amp a two-way speaker, each amplifier channel has its own driver to power. So each channel of power will not be seeing half a speaker, it will see either the low-pass crossover network plus the woofer, or the high-pass crossover network plus the tweeter. On the woofer side, the rising impedance the amplifier sees through the low-pass crossover network will result in a decrease in power output (and thus in driver output) above the speaker's crossover point (inductive reactance; the higher the frequency the higher the impedance). The resulting high-impedance loads shown to the amplifier's output devices above the crossover point will not adversely affect the performance or sound of the amplifier. Since the low frequencies (and woofers) devour the lion's share of the power output of an amp, the amount of power saved by not driving the tweeter is relatively insignificant. On the tweeter side, things look a little different. The rising impedance that the amplifier sees occurs below the crossover frequency (capacitive reactance; the lower the frequency the higher the impedance). This means that the available power and "headroom" the amplifier has to devote to the high-frequencies and tweeter is relatively huge! So the tweeter amplifier and high-frequencies will benefit more in this case from bi-amping than the woofer amplifier and the low frequencies. I'm trying to sort out how an amp "sees 1/2 a speaker".. if you drive full bandwidth audio into for example a woofer with its low pass passive xover, the amp will see a typical impedance below the xover frequency, but above it will see rising impedance. How do the amp output circuits react to high impedance loads? Do they not apply power, thus leaving more power available to the in-band range? Are there any potential drawbacks? If you are using the same power source/transformer, then unless you are actively bi-amping you will NOT have a better results with passive, especially with run of the mill receivers like Denon/marantz/Sony/pioneer etc. More than half of this article is misinformation. You may be able to get "more power" by using two channels but you're also doubling the impedance load by taking the speakers out of parallel. The only thing that's good for is doubling the damping factor and reducing voltage swing. It also lowers the current more often than not giving you less power than just using one channel. The circuitry of most modern receivers/amps allows them to draw usable current from the rails which means whether using one channel or two channels your usable power is virtually the same. The method of performance gain with Passive bi-amping has been debunked over and over and over again with proof. This article offers zero evidence. If you are actively bi-amping with an active crossover and separate amplifiers with separate power supplies there may very well be a noticeable Improvement. By the time you spent the kind of money to get an improvement your budget would be such that you would probably not be shopping at Crutchfield anyways. My Revel Performa3 Towers don't even have the option for bi-amping because they realize that for most folks there is no improvement whatsoever. If you're asking how to bi-amp from a home theater receiver then you are most folks. True bi-amp configuration requires the use of an electronic crossover and elimination of the passive crossover. The benefits are then real. Improved efficiency, power is not wasted in the crossover. Better control of phase in the system, better dampening. The form of bi-amping described in the article provide few if any benefits compared to bi-wire. Which cuts DC resistance between the driver load and the amplifier. This improves dampening and lowers low frequency distortion of the system. To the theorizing naysayers, bi-amping DOES work and DOES improve the quality of sound coming from your system. 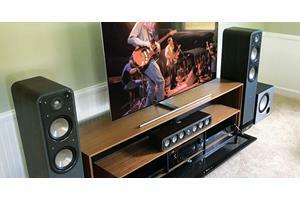 I run a Pioneer receiver with large Klipsch front and right tower speakers. Had them running for a long time in the normal setup and decided one day to bi-amp them. Power, clarity and quality of the sound was noticeably improved! Let's be honest, if it didn't work then all these various manufacturers (receivers and speakers) wouldn't include that capability in their products. The proof is in the pudding. Give it a shot yourself, girls. I am a great lover of driving each speaker unit with its own amp (where costs and space allow).. to that end I have gone OTT and actively quad amp my speakers.. of course this is totally over the top but the fine detail that is possible and the total control of each driver within each speaker cabinet is amazing. I have a set of Tannoy Precision 6.4 speakers and much to my annoyance (and now void warranty) I found that their chosen cross-over points undersold their own designs and by by-passing their crossovers with a DBx Active Crossover (speaker management system unit) - I am now able to get the speakers to sound the way I want them - like I said, OTT but worth it to me because now each drive unit is crossed over to really make the whole thing sound much, much better. While Matt, The Dude and Kieth pretty much hit the nail on the head (it's only a controversial subject if you don't understand the science behind it) the second the author recommended a $350 pair of " special Bi-Amp" speaker cables what little credibility he had left flew out the window. You should never spend more than $5 a foot for speaker cables, max... Not for performance's sake anyway. If you enjoy bragging about how fancy and expensive your speaker cables then have at it. Just don't expect any better performance than what you can get with a well made $5/ft (or less) cable. That being said, I find this article to be very disappointing and extremely disingenuous as a whole. If I didn't already have previous experience with the great customer service/tech guys at Crutchfield this "car salesmen pitch" of an article would have made it so I'd never do business with them. After this uninformed/uneducated piece, I'm tempted to unsubscribe from the newsletter as trusting their opinions on anything technical in the future may be difficult. Thank you all for your feedback and comments. I appreciate the dialogue on what has always been somewhat of a controversial topic in the world of home audio. Passive bi-amping isn't a magical spell that will dramatically improve your system's performance. But everything being equal, increasing the amount of usable current to your speaker provides more control and greater headroom. This article outlines the basics on how to get there. It's aimed towards folks who have a 7-channel home theater receiver and want to put unused channels of amplification to work. Some good points have been raised about the benefits of active bi-amping. That's worth a thorough discussion, but we'll save that for another article. I appreciate your enthusiasm as we all strive to get the most out of our gear. I'm a fan of Bi-Amp but I divide the signal with an active crossover (between amps to passive subs and the satellites) BEFORE the main amplifiers, so I'm with popalock from Dallas as to the question of how does one design a crossover to divide the signal AFTER the main amplifiers. The real question here is why somebody wouldn't just forgo the complication of it all and simply add more real power. Instead of an abysmal 90w per channel (which likely is not accurately rated, aka peak power rating for only 1 channel at 1ft), buy a legitimate (and affordable) 5-channel amp such as Emotiva, Outlaw or Monoprice that's rated at 200w+ per channel w/all channels driven. Matt K correctly notes that the result CANNOT be significantly different. The same exact voltage is being fed through the same exact passive crossover path for BOTH paths (Low and high frequency), thus the result would be expected to be essentially the same. As for the author experiencing a dramatic increase in output, Ohm's law and basic test equipment beg to differ. I admire Crutchfield overall for its ability to help people assemble sensible systems and get the most out of them, but this article is demonstrably flawed. There MAY be a teeny-tiny improvement in terms of negating interaction between LF and HF drive units due to speaker cable reactance/resistance by this method of "Bi-Amping", but without an active crossover PRIOR to the amplifier's output stage, there can be no increase in output power, as noted by Matt K.
This is pretty much a gimic peeps. You will hear no audible difference. For true bi amping, you need multiple amplifiers. Separate channels on your receiver are still connected to the same amp. You are not increasing power to your speaker, in fact you may sacrificing some needed power during peak times since your amp in your receiver is now powering 2 channels for one speaker. Do some research and check it out. I Know how to set up receivers. I've bi- amped my Polk TSI's speakers with three different brands, Yamaha , Denon, and Sony. In my experience, I found no audible difference with either. I personally don't think it's worth buying another receiver if you only want to bi-amp. I decided to add two bookshelf speakers and set them all to full/ all channel stereo for music. That made the audible difference I was looking for with bi amping. More bass(without sub), better treble, open sound everywhere, from just $100.00 set of TSI100's. Maybe bi-amping work better with super expensive receivers and speakers. You are not doubling your power. There are definitely benefits to available power as well as getting more out of your crossovers as well as improving your speaker cable performance but def not doubling power. That being said yes if the channels are available you should get a nice bump in performance with some better dynamics depending on the amplifier quality. Hi Brad. Once you've assigned those rear surround channels as bi-amp channels, they'll stay live when you switch into stereo mode. Otherwise, you'd lose your woofer or tweeter since the two pairs of input terminals on each speaker aren't joined together anymore. So no worries at all, it will work great. I am looking to upgrade my 5.2 Denon receiver soon and most options I have in mind are 7.2. I am going to keep my current 5.2 setup which has bi amp capable towers. If I use the 2 rear surround channels for bi amping, will I loose anything (signal wise) every time I switch to stereo mode from surround on the receiver since those channels aren't used in the receivers stereo mode? Or will the receiver still send the stereo output through those bi amped channels as well? Hi Kenny, great question. The system you're putting together is perfect for bi-wiring, which takes the single set of speaker outputs from your amp, and sends the high and low frequencies through separate sets of cables to the two pairs of inputs on each of your Klipsch speakers. This also removes the brass jumpers from the signal path, which are less conductive than the Rocket 33 cables. Bi-amping won't work with your Yamaha amp, but bi-wiring definitely will, and is the preferred connection method for your gear. Kramer, I am buying the A-S2100 and pairing that to RF-7 II speakers. I just saw the Rocket-33 cables and if I understand you correctly that won't be true bi-wiring as I am only coming out of the back of the stereo from one not both. What are your thoughts here? I'm not clear on how this would make any difference at all. If you have a 100Watt per-channel receiver and you take a single channel (100 watts) and plug it into the speaker to drive it, the crossover will take the 100 watts of power and separate the portion of the frequencies for the highs to their drivers and the portion of the frequencies for the lows to their drivers - still 100 watts of power hitting each crossover. If you then take two channels, 100 watts each and pipe one to the lows and one to the highs, the crossover still does exactly the same thing - you're just losing the signal that the crossover does not use. Highs discard the low frequency and it is not used, lows discard the high frequency and it is not used. We're still at 100 watts input to the speakers in either case. Experience tells me this is the case also - I have tried this with my speakers/receiver and I notice no difference at all. I am running a Marantz 7009 with Sonus Faber Venere 3.0s and using 12 gauge wire. Hey Clarence, I did some digging and found that though your HK receiver has assignable channels, they can't be used for bi-amping (just for multi-room or surround back speakers). Page 33 of the owner's manual has more details on those features if you're interested. You've gotten good life out of that receiver. Glad to hear it's still pumping out great sound all these years later! Hi Ben, that's a sweet system you have. Your NAD integrated amp isn't able to bi-amp (its A and B speaker outputs share the same pair of amp channels). However, knowing that amp's capabilities, you're in great shape with the pairing that you have now. The good news is that you can bi-wire your speakers since they have two sets of speaker terminals. AudioQuest's Rocket 33 is a popular speaker cable option that's compatible with your system. I just bought a NAD367integrated amp from cructsfield could that be used to biamp? I am using a pair of ProAc studio 140 MKII speaker, will that be compatible? Hi Ron, since you're already using all seven channels of your Yamaha receiver, there aren't any unused channels that you can reassign for bi-amping. That said, your Theos' electrostatic panels are a unique example of not benefiting from the extra power, since they plug into the wall for juice. Talk to me about biamping Yamaha A1040 to Martin Logan Theos. I already am using as 7.1 surround system. I can attest to the improved performance using bi-amp capable towers and a 7.1 channel amp. I upgraded to an Onkyo TX-NR646 from an older Onkyo amp and have Klipsch WF-35 towers. (and matching center channel and surrounds) I live in a (nice sized) apartment and don't want to disturb my neighbors too much, so I've yet to invest in a sub. Hi Mike, wiring diagrams are included in the manuals of bi-amp capable receivers and speakers. They vary some from receiver to receiver, so it's best to reference your specific model's recommendations. Hi Philip, I'm passing your info along to our advisor group. Someone will reach out soon with a personalized recommendation for your new system. Hey John, it all comes down to which amp channels are assignable on a given receiver. On my Sony, the surround back channels are the ones that turn into bi-amp channels. I have my in-wall surround speakers connected to the "surround" outputs. The receiver's auto-calibration system takes care of the rest. Hi Jason, if you have bi-amping selected in your receiver's menu, but no speakers connected, those amp channels will just sit idle and stay unused. No harm, no foul. Chis, that wouldn't be bi-amping, since your amp's A and B output sections are both tied to the same pair of amp channels. You'd need separate stereo amps, or a home theater receiver with assignable channels to bi-amp your speakers. I'm curious why you'd use Surround Back & Front for the bi-amp instead of Surround & Front as you're much likely in a 5.1 speaker config to have rear speakers and lacking side Surround speakers. So what happens if you have bi-amp enabled on your receiver settings but you aren't actually using the feature? Will that negatively affect the sound quality? Can you bi-amp with older amps using the A and B main speakers? Randy, for overall sound quality I usually prefer bi-amping, but if you're doing more movie watching than music listening, you might get more mileage with some upper front surround speakers. If I understand you, you're saying to use the 2 extra channels from the normal 5.1 system. My Denon receiver lists uses for front upper surround or rear upper. Would it better to bi-amp or do the upper front? We use the system mostly for movies. The front speakers are Klipsch rb2.